Description: Presented in excellent condition throughout and boasting a south west facing sunny back garden. 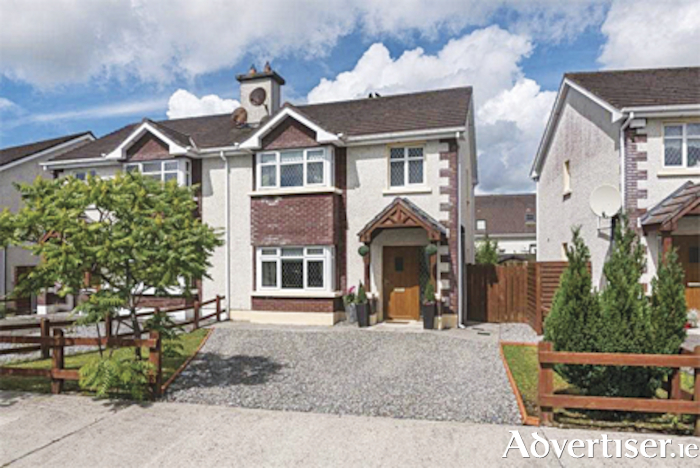 Offering good accommodation with three bedrooms and three bathrooms in a semi-detached home, in a popular residential area of Moate on the Ballymore Road and a short walk from the town centre. Off street car parking. Good starter home. Three bedrooms, one reception room, three bathrooms, house, semi detached, garden, private parking, town, very good decoration, 98.5 Approx Sq Metres, BER C1. Agent for this property from Sherry Fitzgerald is Helena Kenny who can be contacted on 086-8119190.